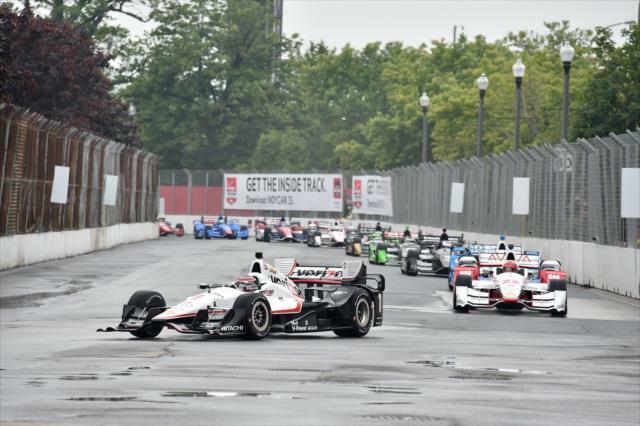 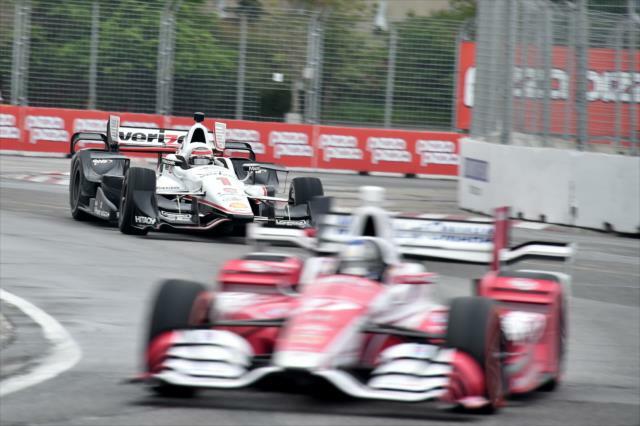 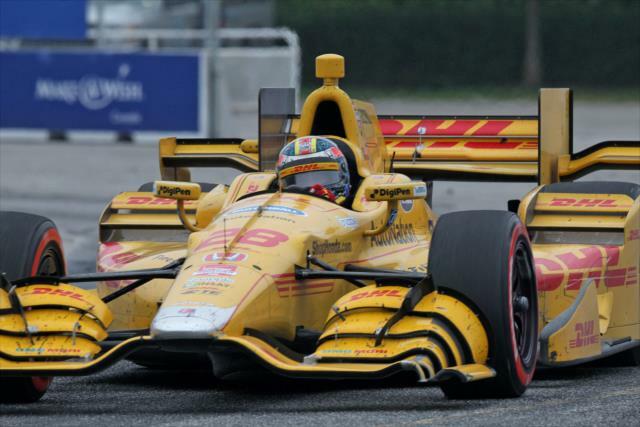 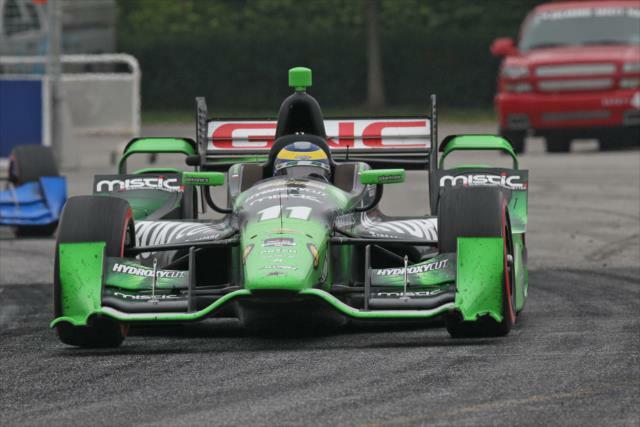 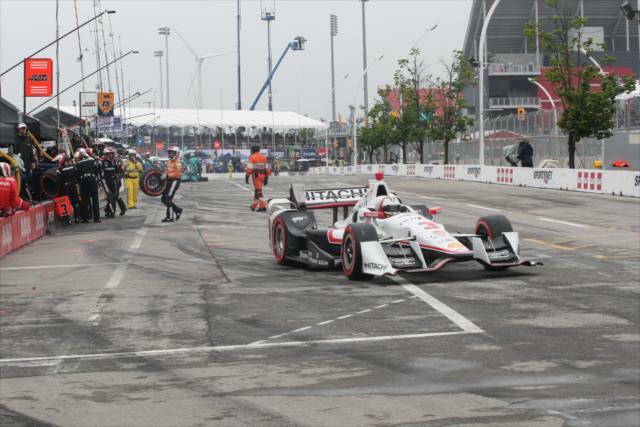 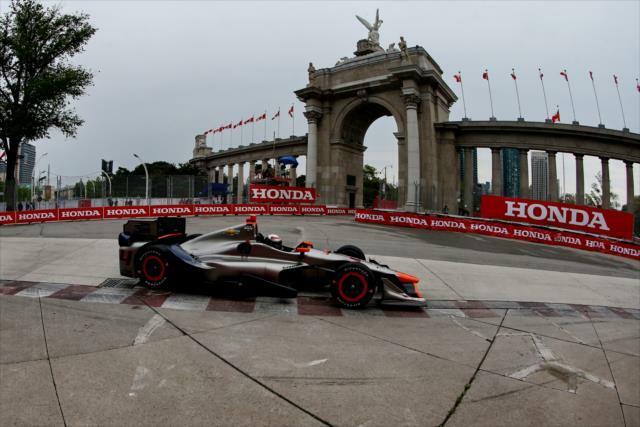 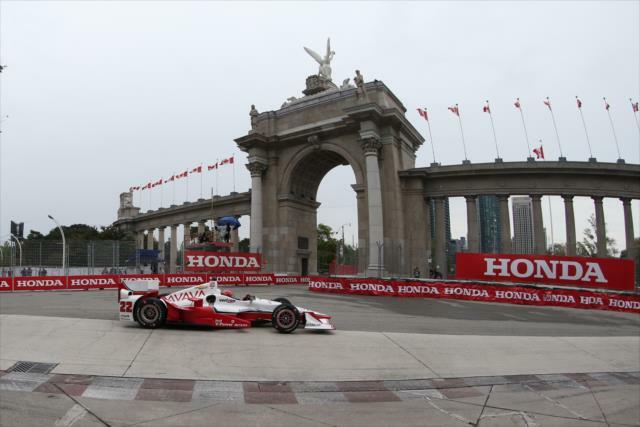 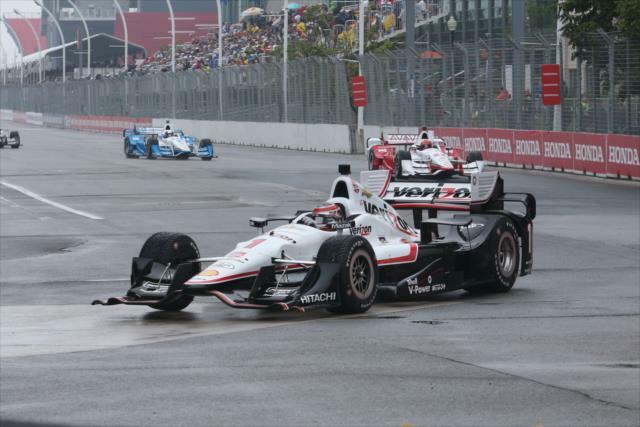 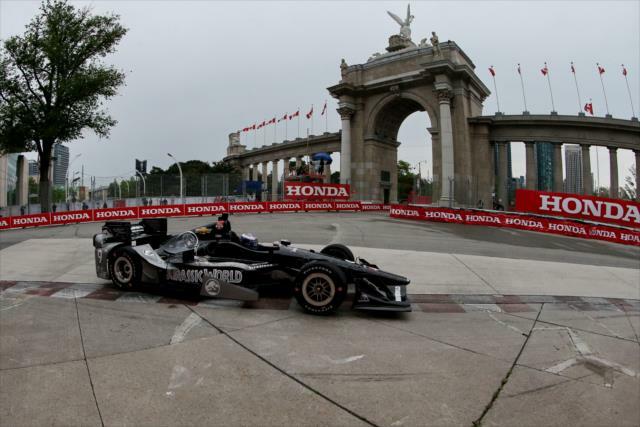 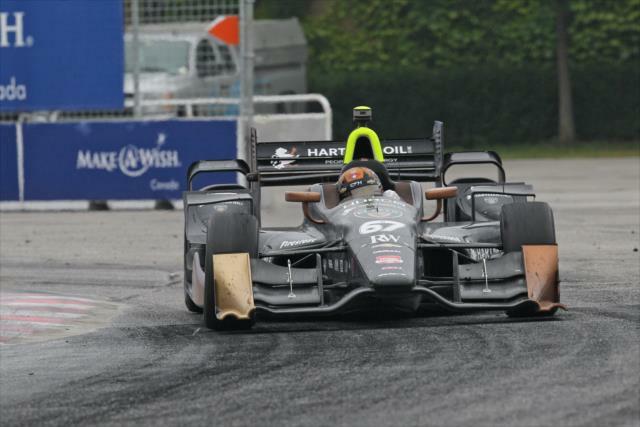 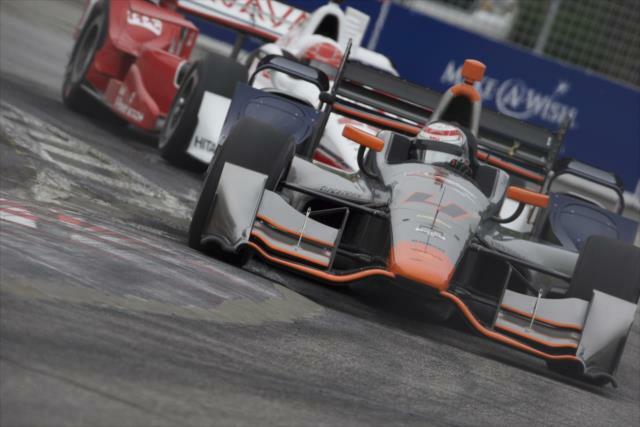 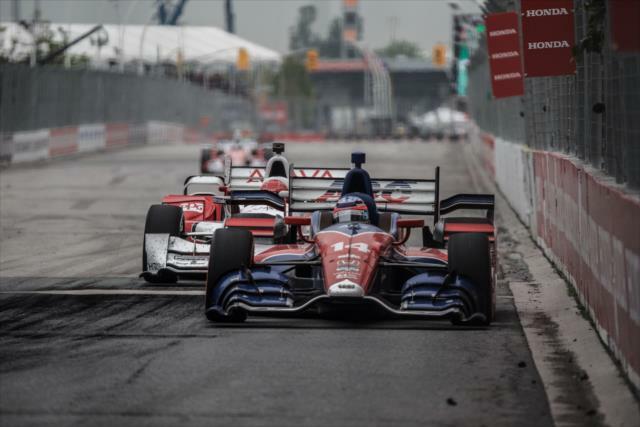 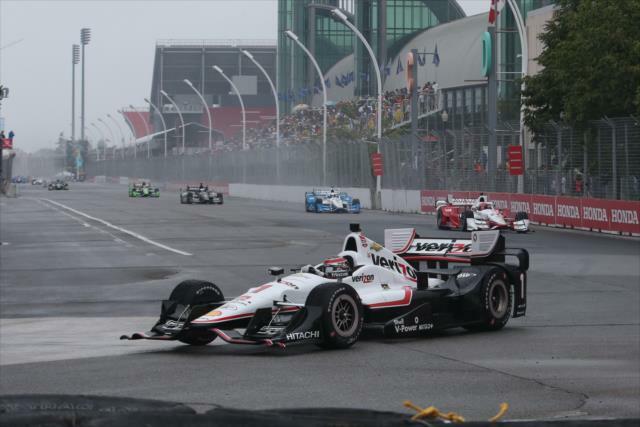 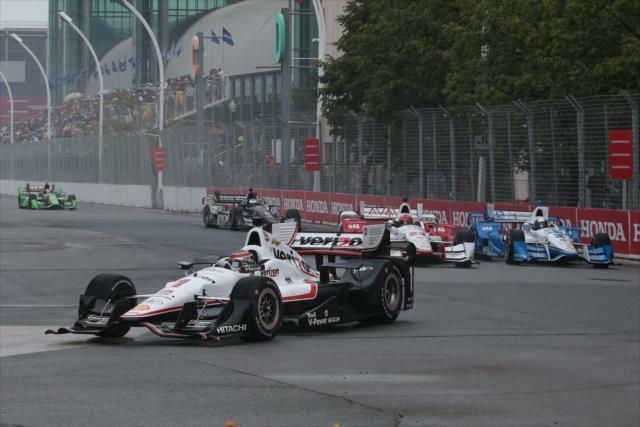 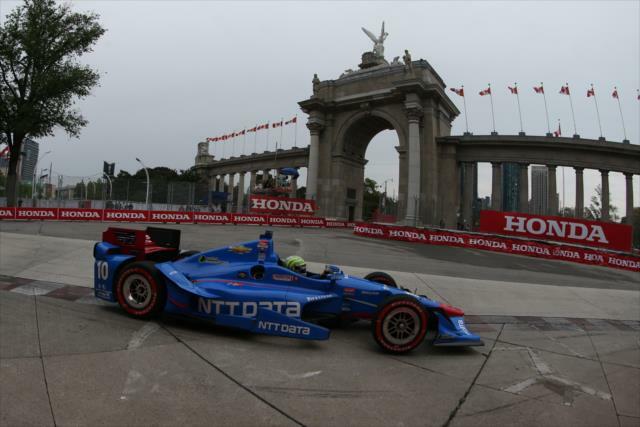 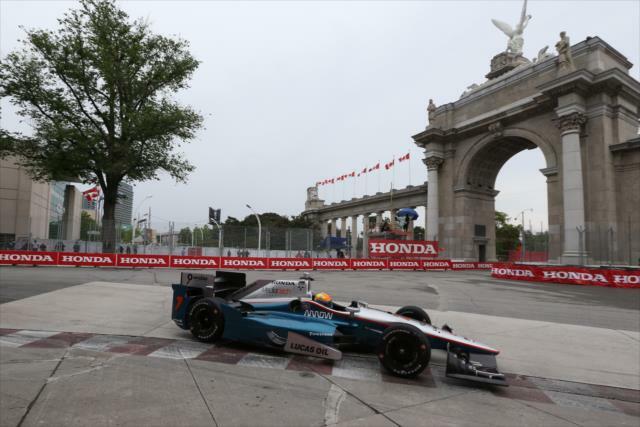 TORONTO -- Maybe a 1-2 CFH Racing finish in the Honda Indy Toronto will pave over recent disappointing Verizon IndyCar Series results. 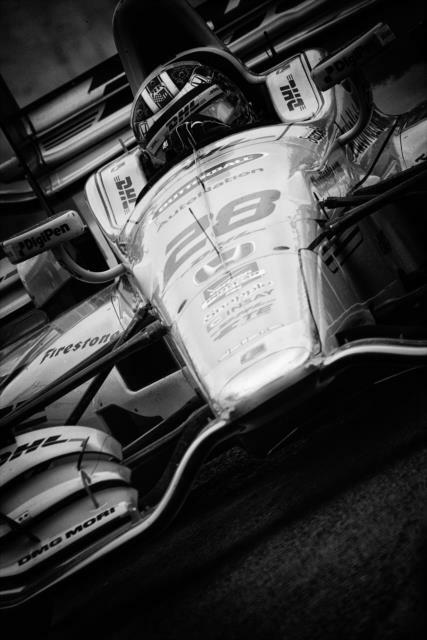 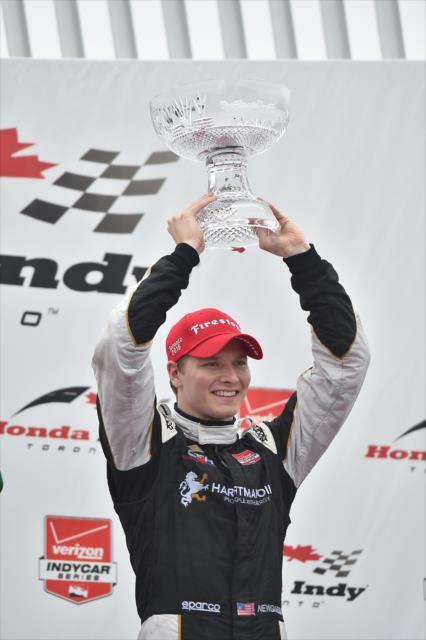 Josef Newgarden, who started 11th in the No. 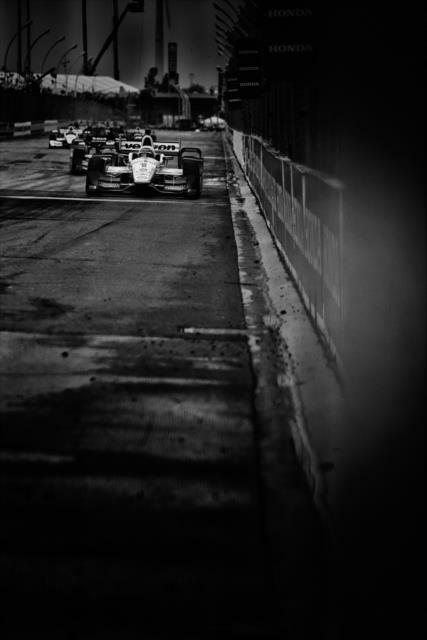 67 Hartman Oil Chevrolet, led teammate Luca Filippi across the start-finish line by 1.4485 seconds in the exciting 85-lap race on the 1.755-mile, 11-turn Exhibition Place street circuit. 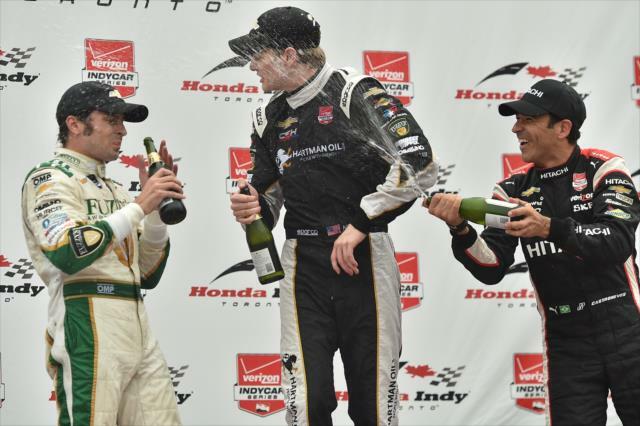 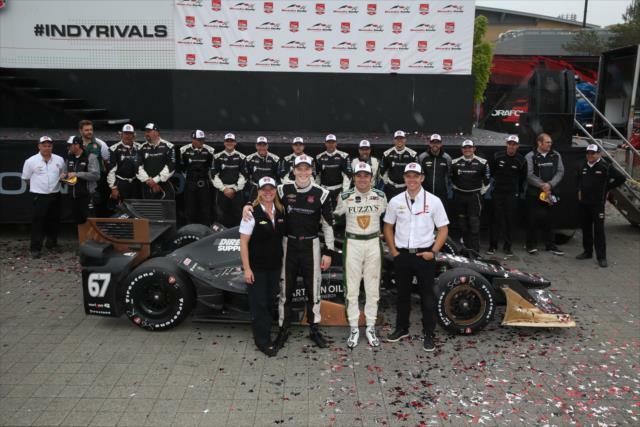 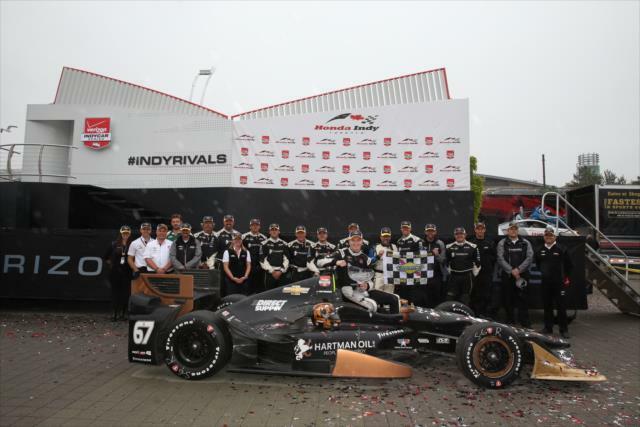 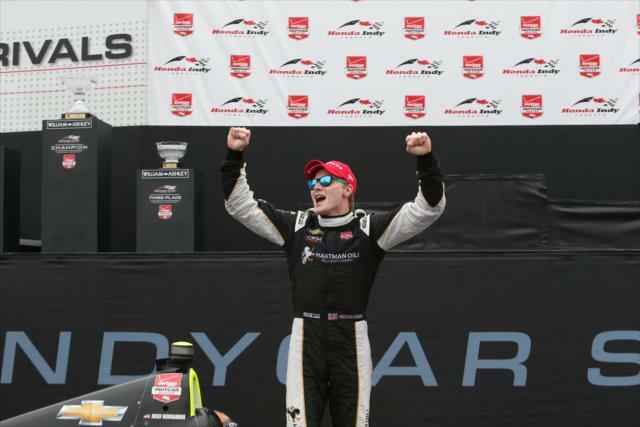 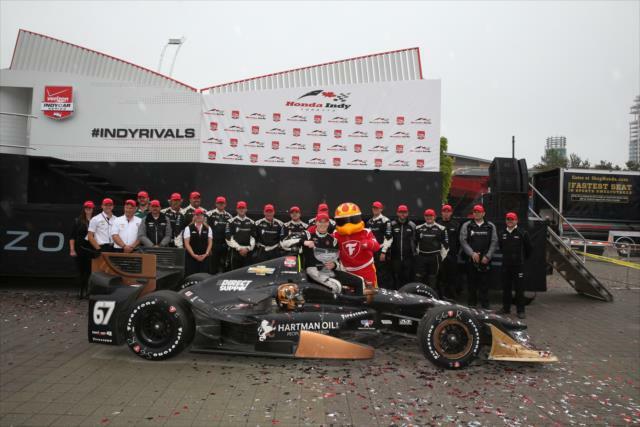 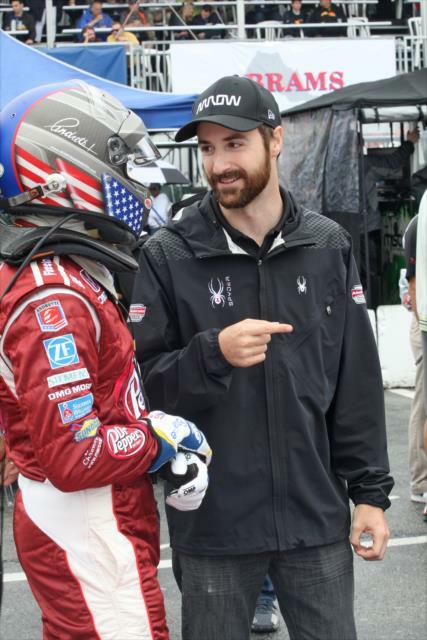 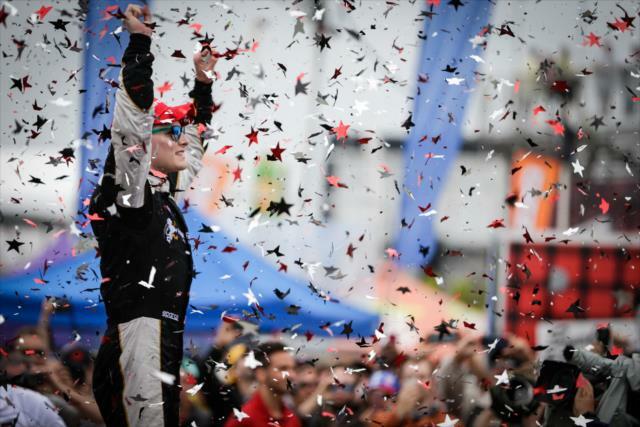 "I'm so happy we were able to get a win, but a 1-2 it just amazing because Luca is such a star,” said Newgarden, who also won at Barber Motorsports Park in April. 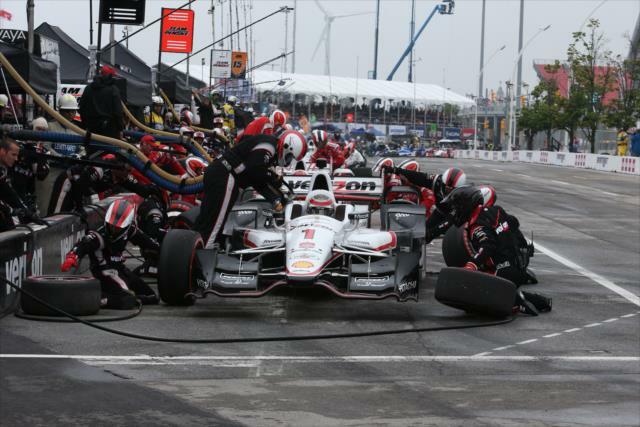 “Just an amazing team effort. 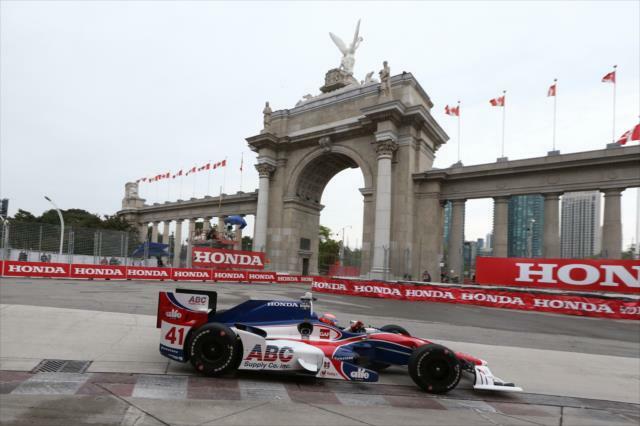 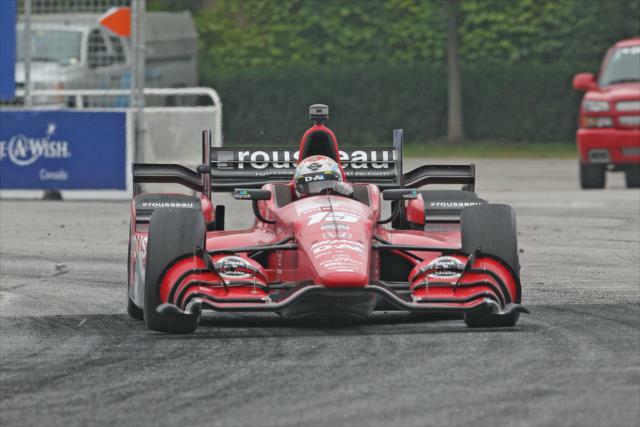 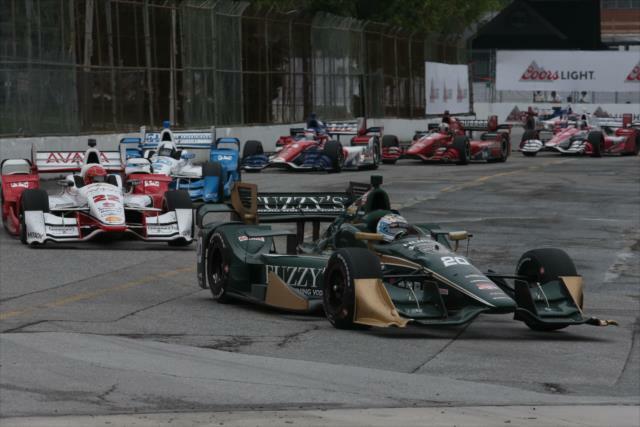 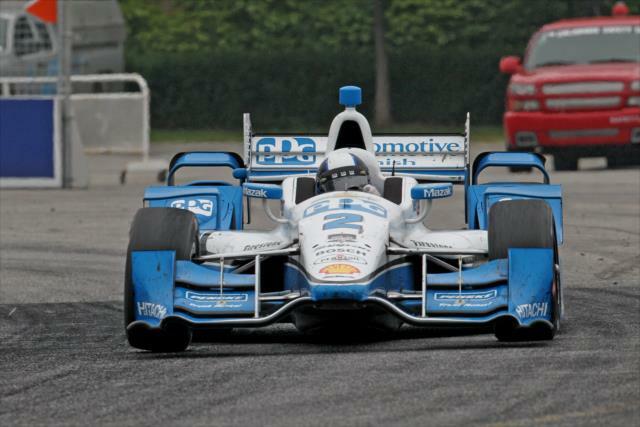 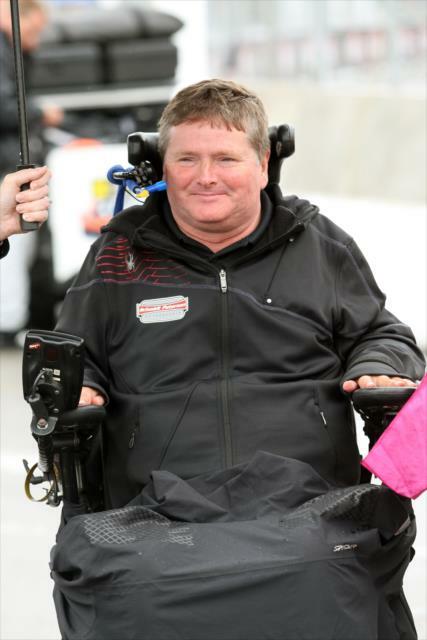 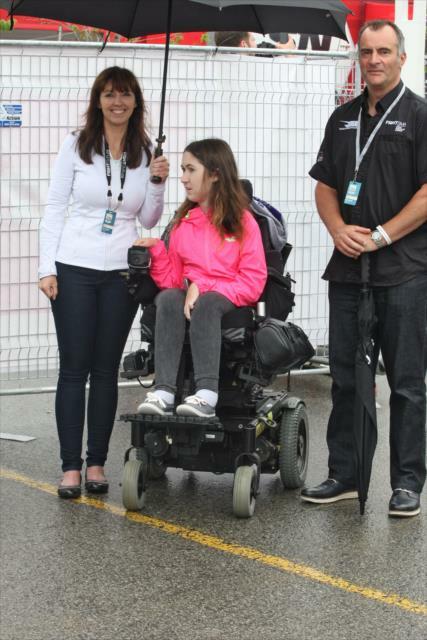 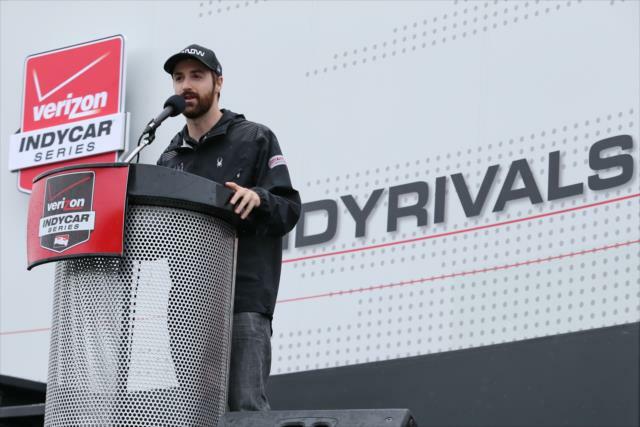 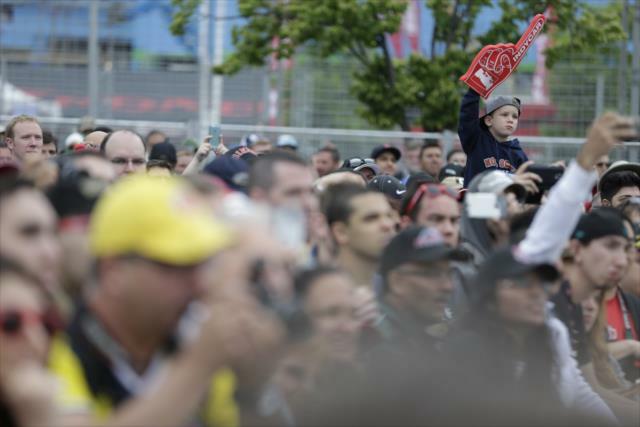 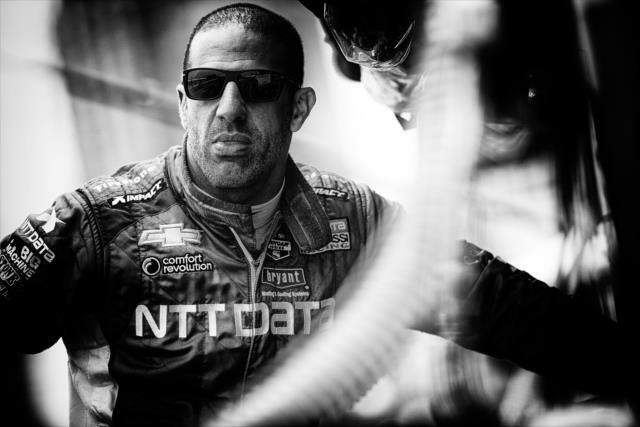 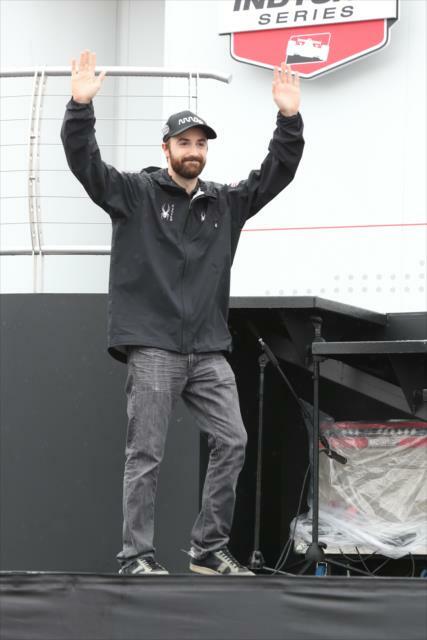 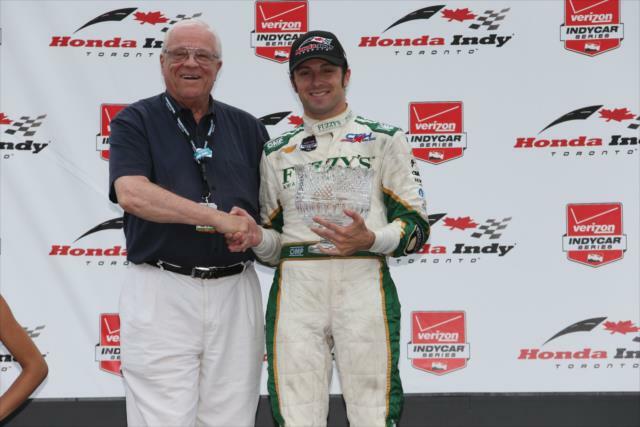 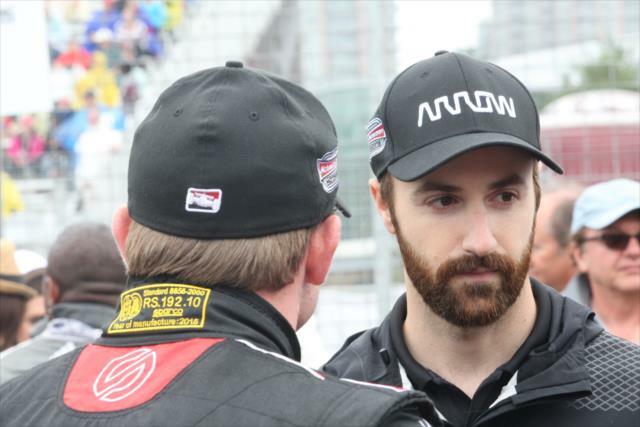 I'm definitely excited because this is Toronto and this is an INDYCAR town." 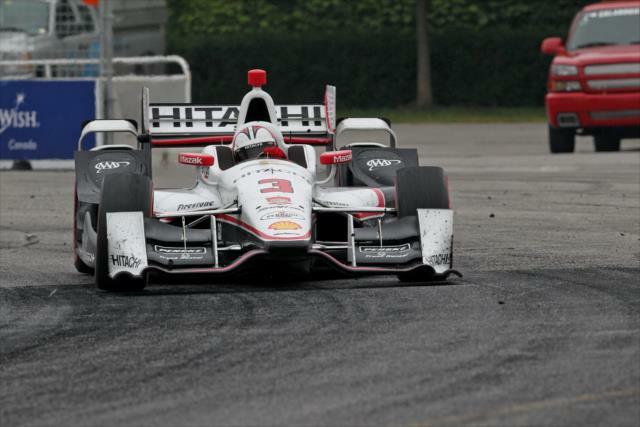 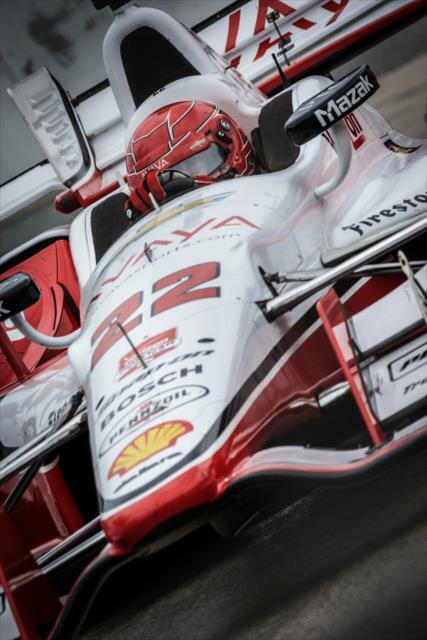 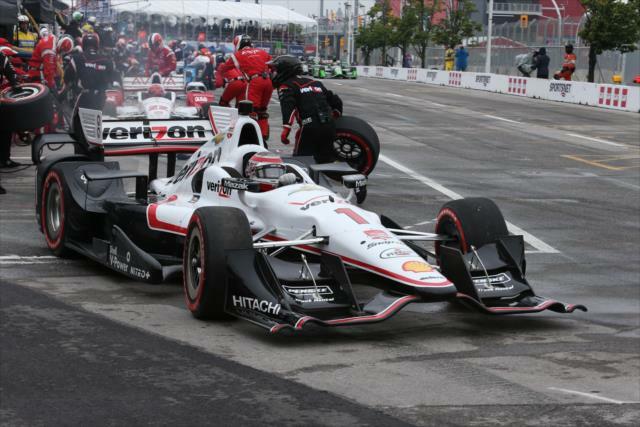 Team Penske’s Juan Pablo Montoya finished seventh for his best result in five starts in Toronto and has a 27-point championship lead over Power through 10 races. 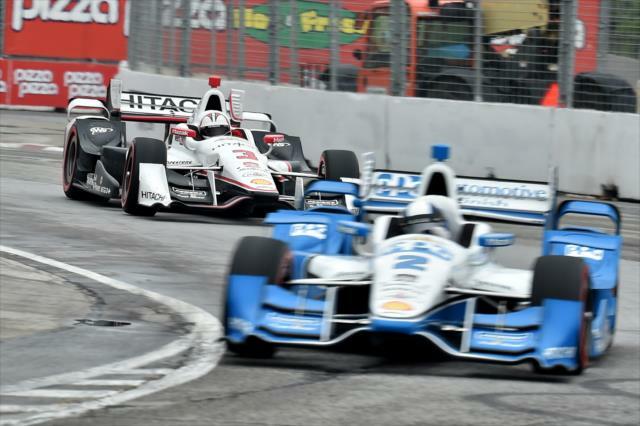 Three oval races, starting with the MAVTV 500 on June 27 at Auto Club Speedway, are ahead on the schedule. 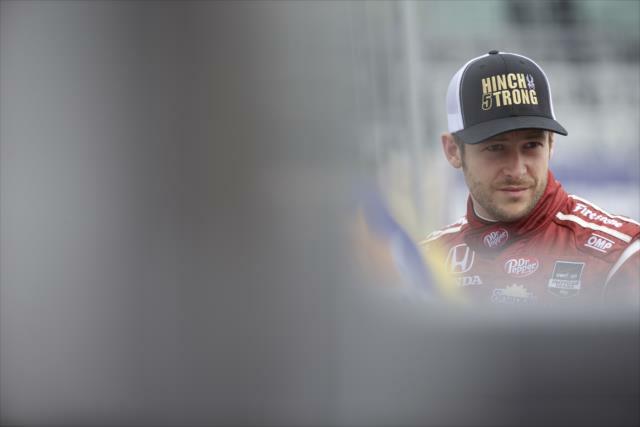 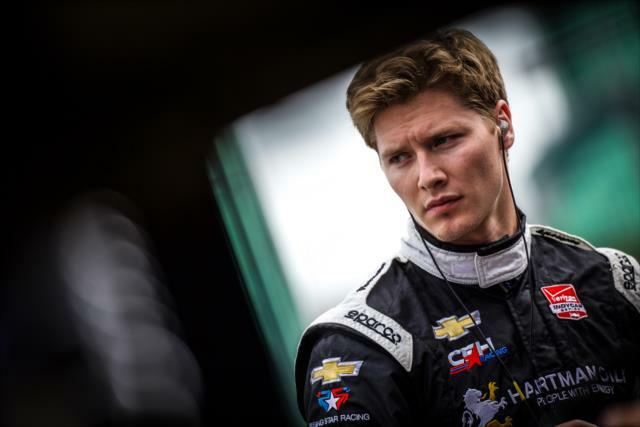 CFH Racing experienced a frustrating double DNF eight days earlier in the Firestone 600 at Texas Motor Speedway with mechanical issues biting Newgarden’s car and the No. 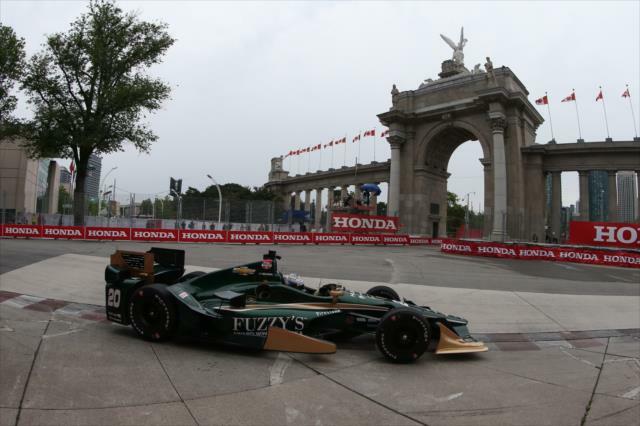 20 Fuzzy’s Vodka Chevrolet of Ed Carpenter, who won on the 1.5-mile oval in 2014. 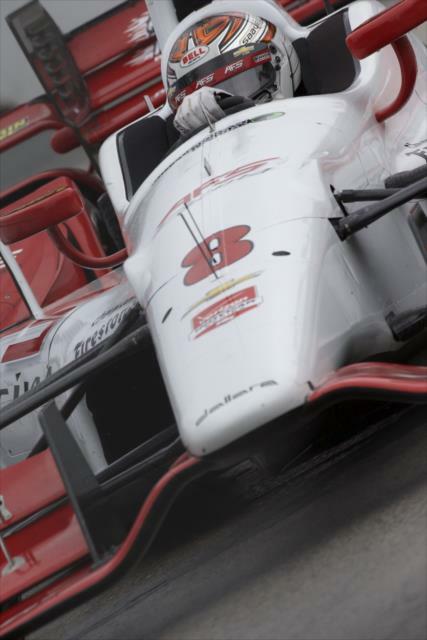 Carpenter, a team co-owner/driver who competes on ovals, also had a DNF by contact in the Indianapolis 500 in his only other start. 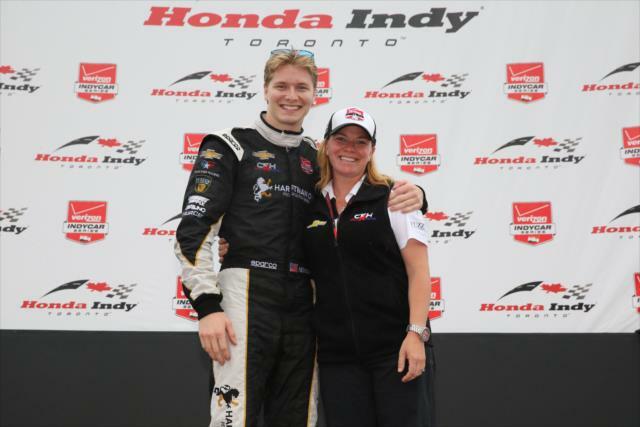 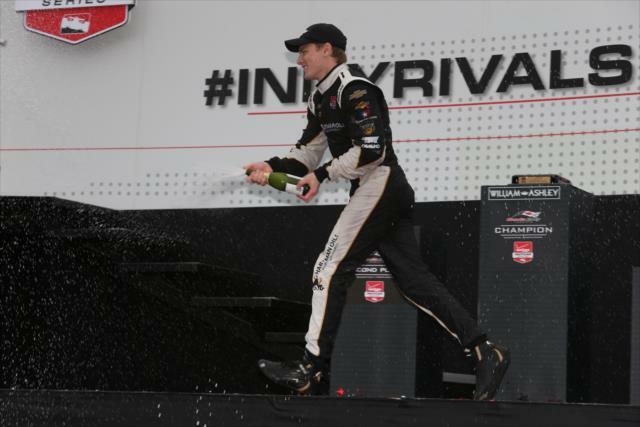 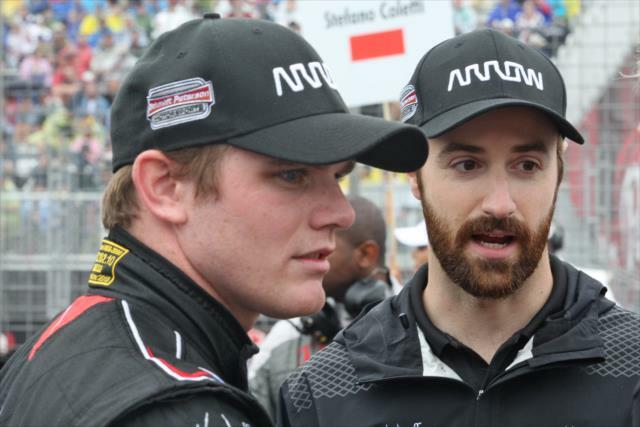 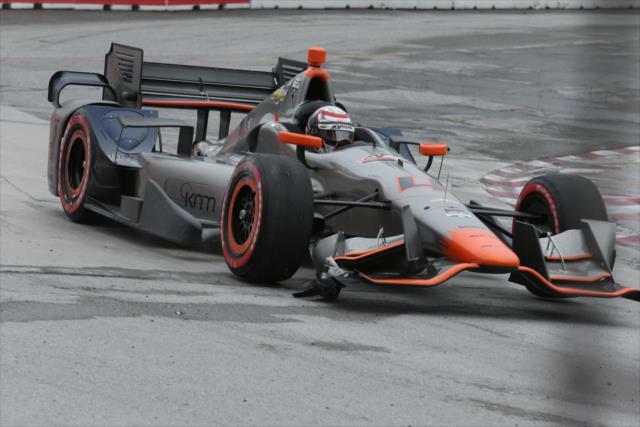 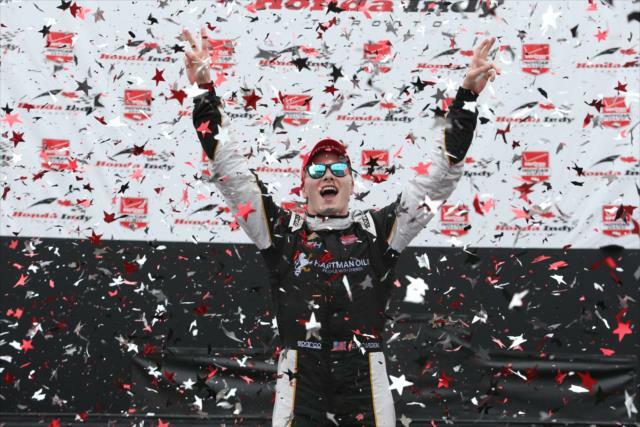 Newgarden’s victory in the Honda Indy Grand Prix of Alabama was his only top-five finish, and Filippi had not scored a top five in his seven road/street course races this season. 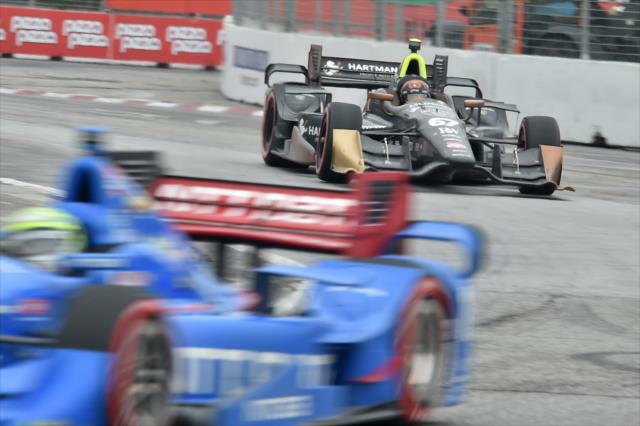 There were seven lead changes among six drivers in the race that began on wet tires and was slowed by two short cautions. 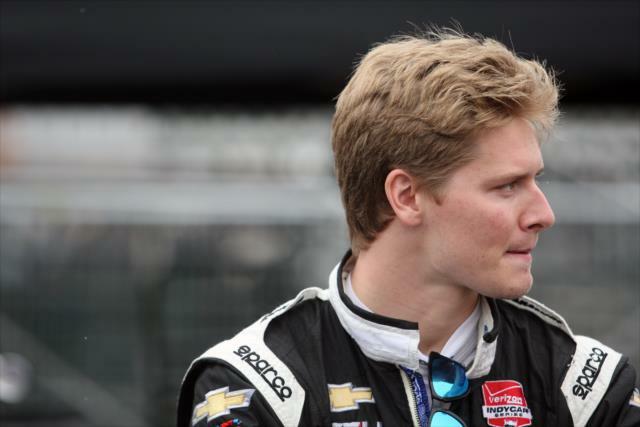 Newgarden pitted for tires and Sunoco E85 fuel on Lap 28 just before the first yellow flag flew for contact by the No. 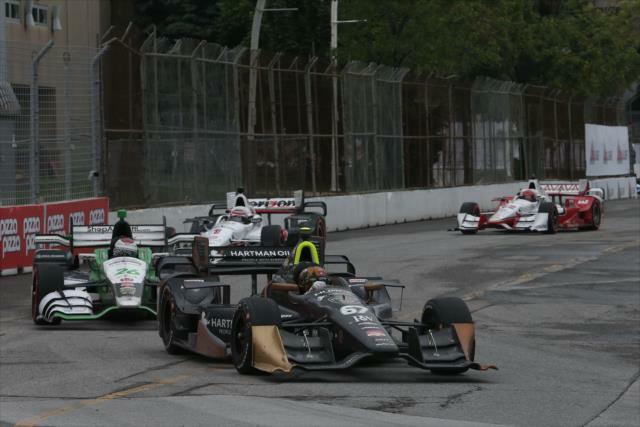 7 Schmidt Peterson Motorsports Honda of James Jakes into the tire barrier in Turn 5. 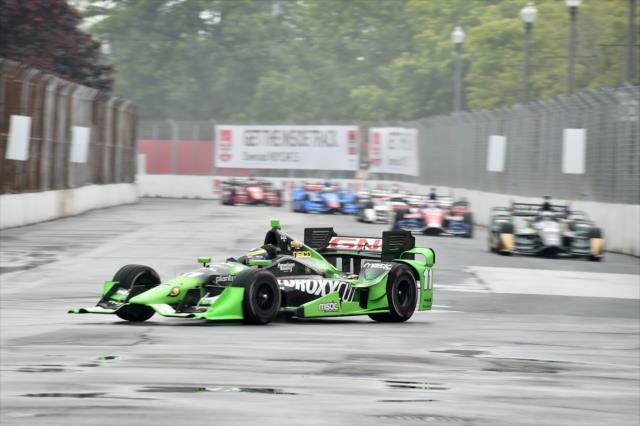 He remained in the top five through his final stop on Lap 58, and reclaimed the lead on Lap 72 when Rodolfo Gonzalez in the No. 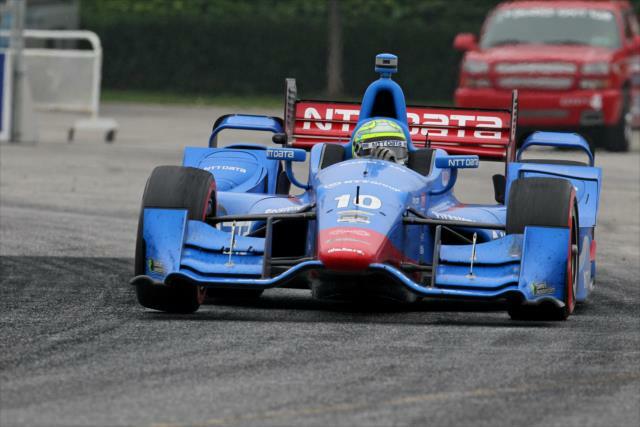 18 Dale Coyne Racing Honda pitted. 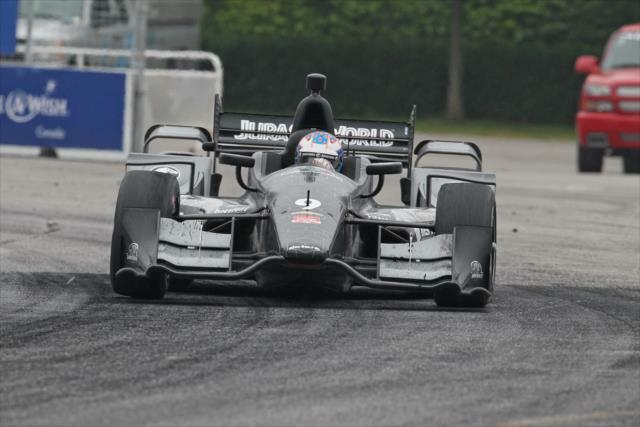 Filippi recorded his best finish 16 Verizon IndyCar Series races dating to 2013. 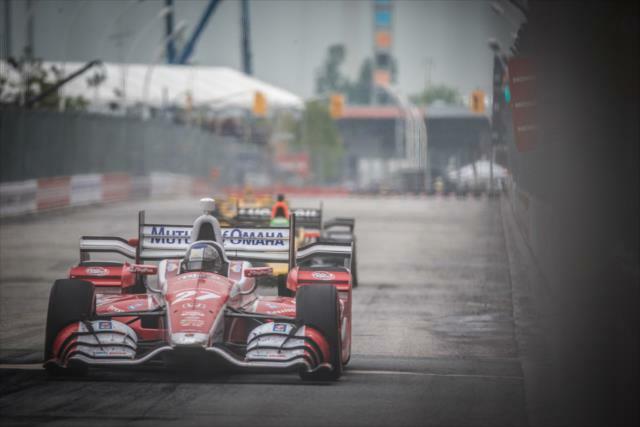 “We had a goal to be on the podium and we both achieved it with both cars, so it’s nice when you set the goal and you achieve it and the team did everything perfectly to give us the opportunity to be up front,” said Filippi, who qualified sixth. 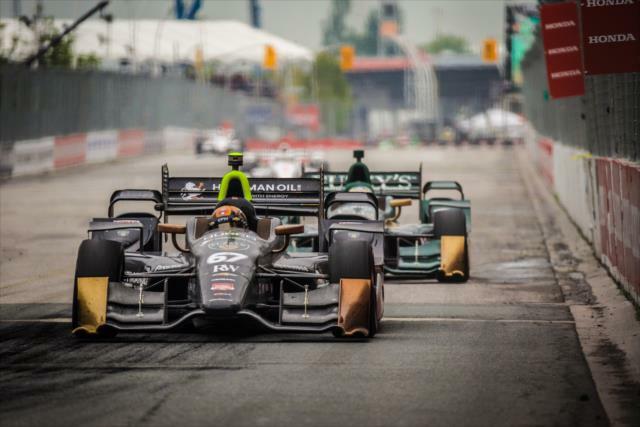 “But we had a fast car and we knew we needed to be kind of in the clean air up in front and this is what we did -- just kept pushing.